Our prices are in Canadian dollars and include the duty and brokerage fees:Pick up at Champlain, NY or Montreal, Quebec and the shipping cost will be refunded. The new Sea Eagle SUPCat10 uses Stand Up Paddle Board construction to create a whole new kind of fishing craft. 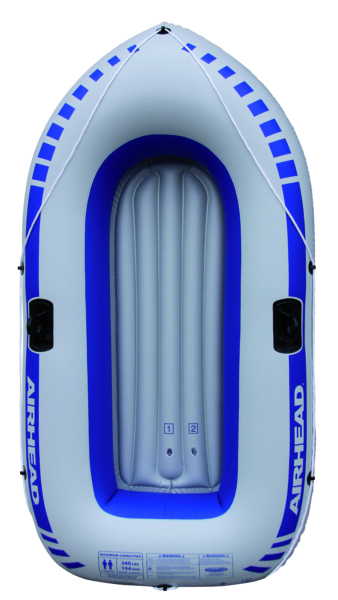 With the 2 side pontoons made completely of high pressure, drop-stitch the SUPCat inflates up to 15psi for rock solid stability. 4 Scotty Gear Mounts come standard with every SUPCat along with 2 Scotty Baitcaster rod holders. Our WaterSnake Venom 34 electric motor can cruise you around at 4 mph. 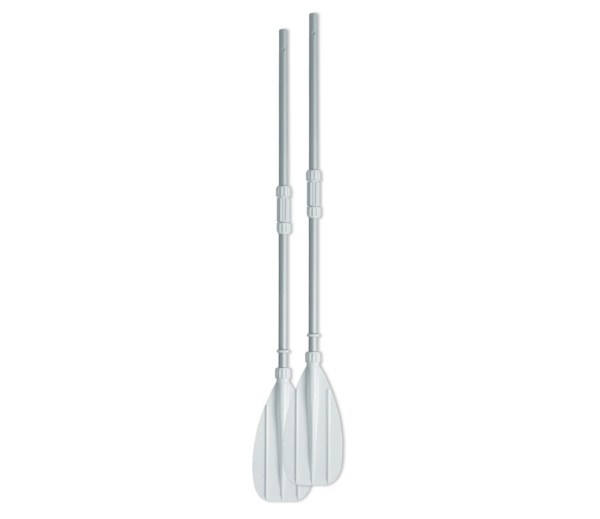 The SUPCat can even be paddled with a SUP paddle. It's a smooth, sleek ride no matter how you propel it. A great aspect of the SUPCat is the Wheels Up/Wheels Down feature. 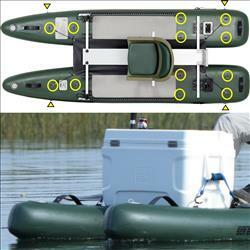 The optional CAT Wheels let you cart the boat & all your gear to the water when in the down position. Once at the water, lift them up & paddle or motor away. The wheels are out of the way and do not interfere with fishing, paddling or motoring. Plus, there’s no running back and forth, do it all in one trip. 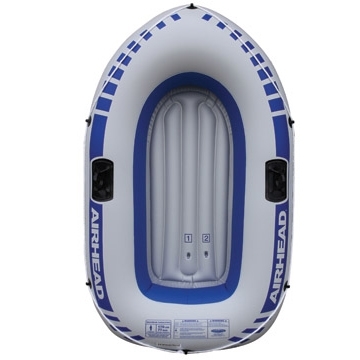 Sea Eagle Fishing Inflatable SUPs are the most versatile stand-up paddleboards in the world! 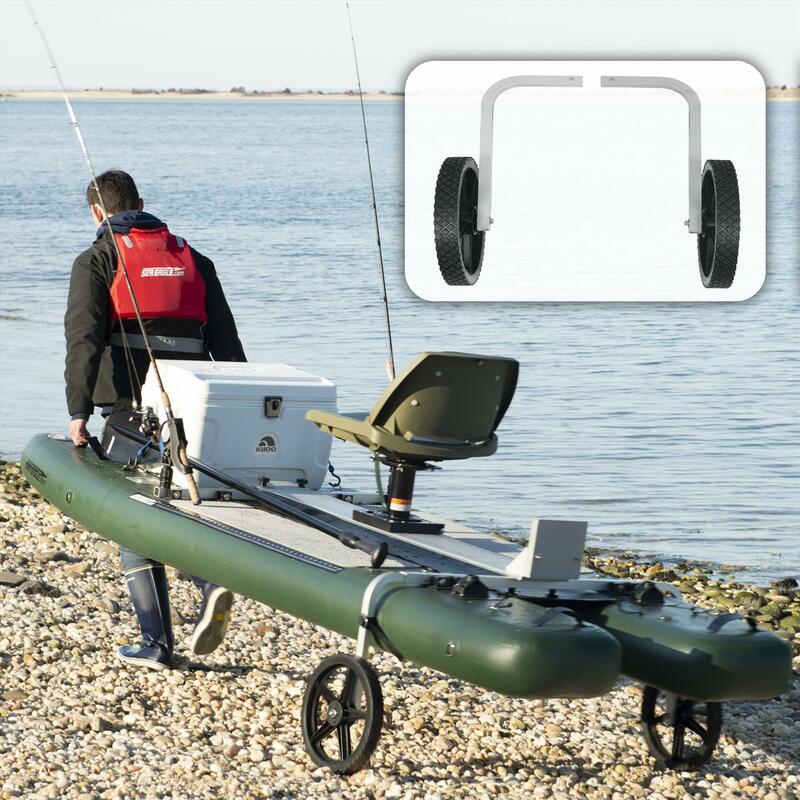 Sit, stand, fish, motor, troll - designed for fishermen always on the go! 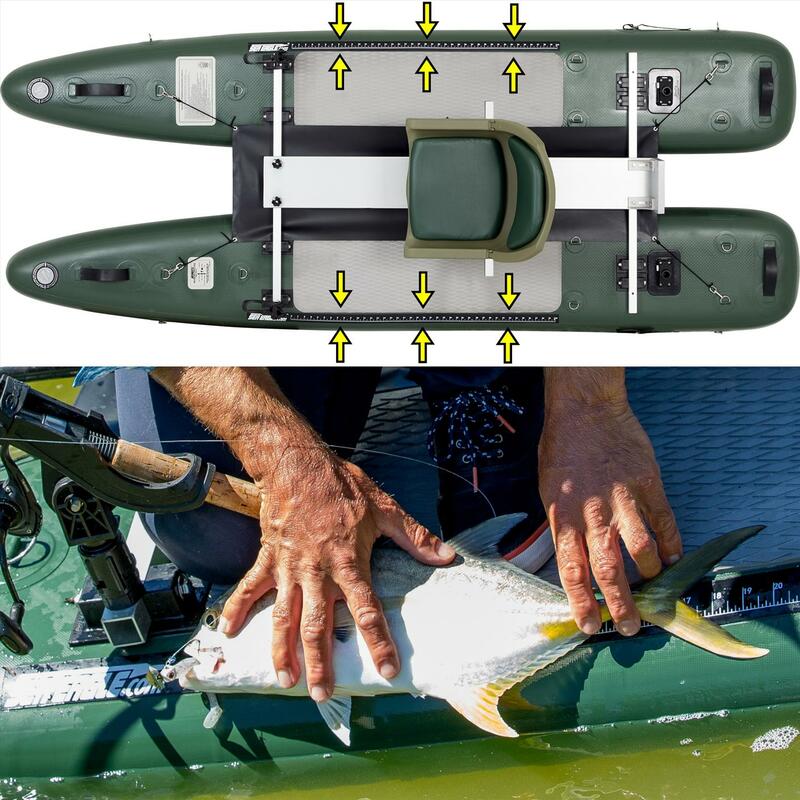 Extremely portable and affordable, these fishing SUPs are incredibly stable and easy to use, set up in under 10 minutes. 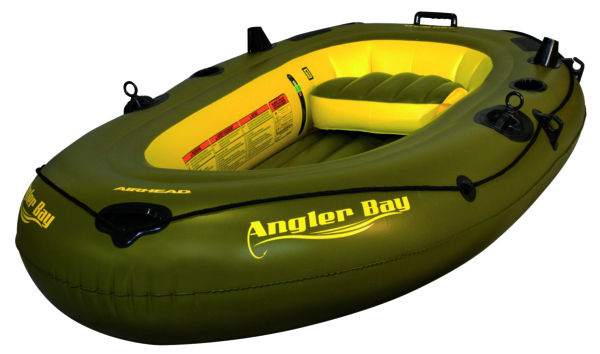 Say farewell to lugging around heavy boats and trailers plus unnecessary fees! Hello to portability and convenience. Sea Eagle Fishing SUPs stow in your car trunk always ready to go! 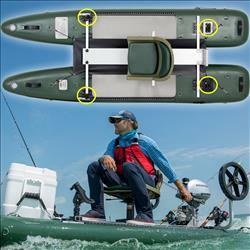 Fabric floor held tight by 4 clip-on bungee straps to prevent unwanted spray or losing cell phones, fish lures or fish. 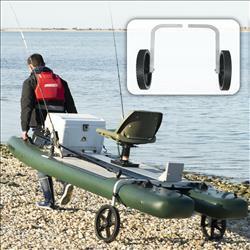 8 D-Rings - 4 in the bow, 4 in the stern to tie-down cooler or gas tank or tackle box. Roll your SUPCat10™ fully loaded, completely rigged up with gear to and from the water in one single easy trip. Comfort, speed, efficiency, and ease! Less pre-exhaustion time means more high energy highly focused fishing time on the water. Easy up, easy down and center positions keep your cart conveniently with you at all times, creating the truly one trip wonder! 4 Universal Scotty Gear Mounts for attaching a vast array of Scotty products such as rod holders, triple rod holders, anchor locks, sounder mounts, transducer mounts, cutting boards, cup holders, camera mounts and so much more. Multiple stainless steel D-ring attachment points for securing items such as coolers, anchor trolleys, stake-out poles, tackle boxes, and other gear. Also useful when tying off to a dock. 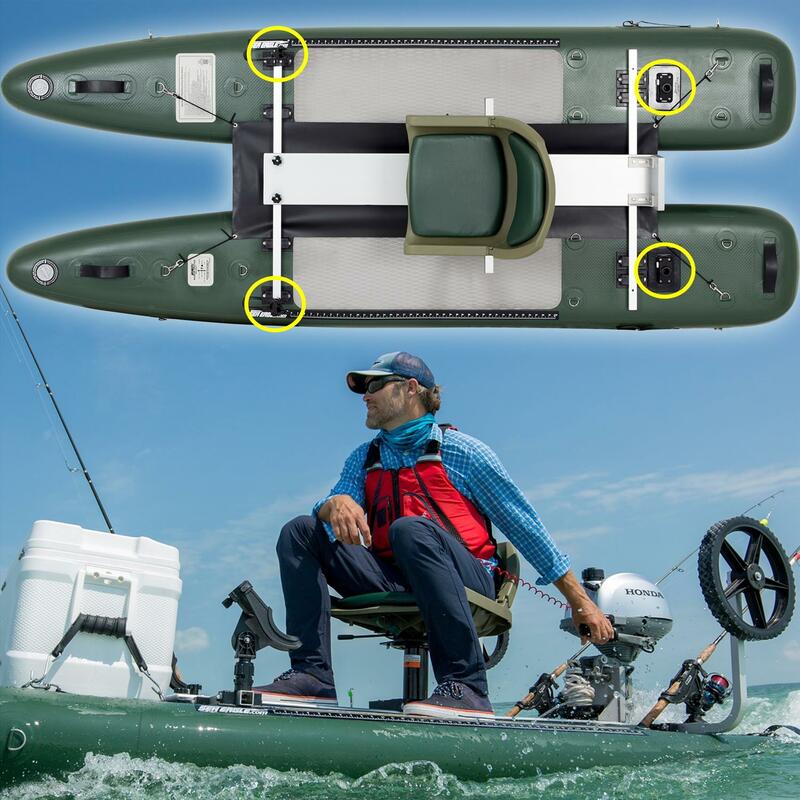 Two conveniently located (port & starboard) built-in 40" Fish Rulers to assure your catch is legal and to measure the true size of those trophy fish! No more worrying about forgetting, losing, dropping, rusting or the malfunctioning of one of your most important fishing tools. The Pro Package has everything in the Deluxe package plus a set of "Cat Wheels". 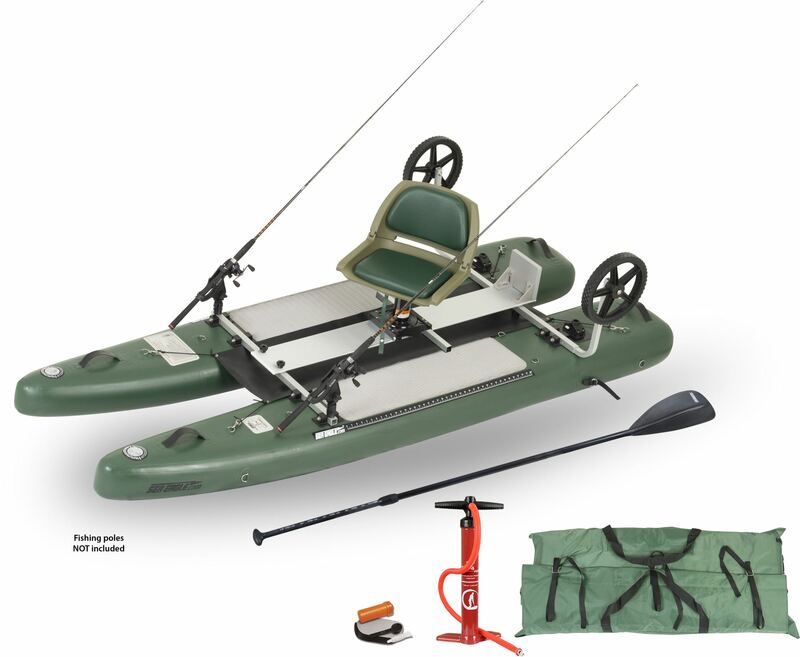 Perfect for a solo fisherman to easily get to the water.